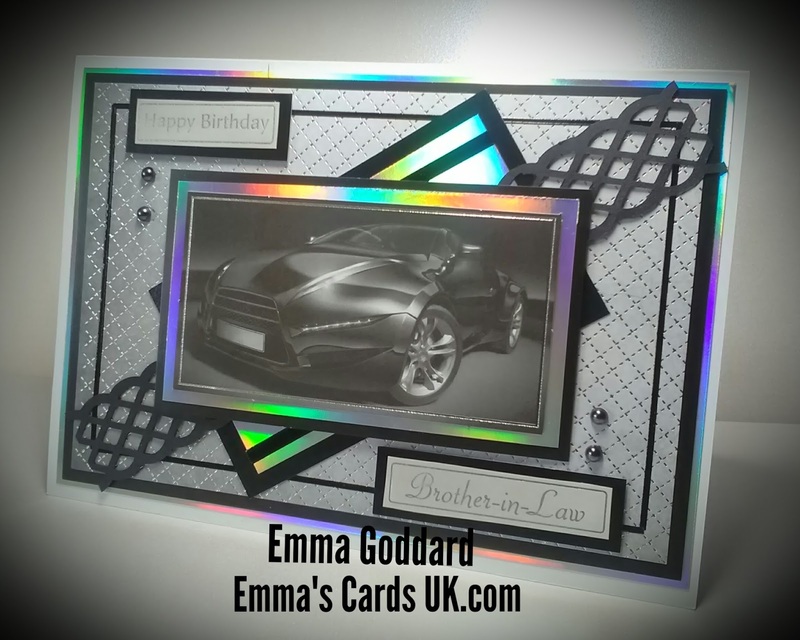 I used a Kanban topper for this, mat and layered with Hunkydory rainbow mirror card onto black card, I used black line peel offs to edge. The background card is also by Kanban, mat and layered onto black card then rainbow mirror card, again, I used black line peel offs to edge. The border I made with a EK Success punch, I added the sentiments and finished it with gunmetal faux studs. Love this card, so masculine ! Another fabulous card Emma, love the design. So apt for a male!